What better way to celebrate Easter and spring with young children, than an Easter egg hunt or even a traditional egg roll! 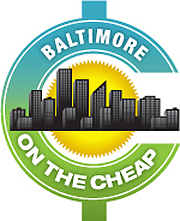 Here’s a list of 16 free & cheap Easter Egg hunts around Baltimore, so you can have fun with the kids without spending a lot of bucks. This year, Easter is on Sunday, April 21, but many of the egg hunt events are scheduled the two weekends before. Follow the event link to get all the information and updates about each event, including pre-registration info, if required. Check out this post if you’re looking for an adults-only egg hunt. There will be two age-based egg hunts starting at 12pm. The one for ages up to 4 will be held outside Ultrazone Laser Tag and the one for ages 5-12 will be in the Atrium Food Court. The Easter Bunny Arrival Parade will begin at approximately 12:20pm, with a festival to follow, which will include face painting, balloon art, music performances and more until 2pm. This annual event sponsored by the Edgemere-Sparrows Point Recreation Council includes three age-based Easter egg hunts: for ages 2-4, 5-7 and 8-12. Please arrive by 12:30pm. Fun for the entire family! There are egg hunts on the lawn for various age groups, crafts in the Sherwood House, eggs to decorate, and the Easter Bunny usually appears. Egg hunt times are divided by age: ages 3: 10:30am, age 4: 10:45am, ages 5-6 11:00am, ages 7-8 11:15am and ages 9-10: 11:30am. In case of questionable weather, call the Park Office after 9 AM on Event Day for details. Hosted by the Downtown Partnership of Baltimore, this free event is for Baltimore’s youngest residents. Center Plaza transforms into a spring fair including an egg hunt for kids ages 2-5, as well as face painting, a petting zoo, a craft with Wilkes School at Grace and St. Peters, a moon bounce, and more. Older siblings and children not registered for the egg hunt are welcome to join in the other fun activities. The egg hunt is at 10:30am, so arrive a little before that to get in place. No registration or tickets required — children must be accompanied by parents at all times. Hosted by North Point State Park Volunteers, this egg hunt features different hunt areas by age group: under 3, ages 3-5, ages 6-8 and ages 9-10. Registration begins at 11:15am and ends at 11:45am. The egg hunt begins at 12pm. Easter Bunny will be there for visits and photos. The Ravens Roost 54 South Baltimore is holding its 2nd Annual Egg Hunt. There will be 10,000 eggs up for grabs plus some small extra goodies lying with them. There will also be a lucky golden egg for each age group! There will be photos with the Easter Bunny beginning at 1pm and the line-up for the hunt will begin at around 2:10pm. There will also be hot dogs, chips and drinks for the kids. This event takes place at the playground at the corner of Roberton Ave. and Parkside Dr. There will be several Easter egg hunt divided by age, music, face painting, arts and crafts, and food. This event features several Easter egg hunts separated by age, which will start at 11am. Registraton begins at 10am. There will also be crafts, prizes, the Easter Bunny, and a concession stand to purchase food and drinks. This 12th annual egg roll, also includes crafts, games, and treats, and fun for all ages. What is an Egg Roll? It is a race where each child rolls an egg down a grassy hill. Dolley Madison brought it to the White House in 1814 and the Holt Center for the Arts brought it to Overlea-Fullerton in 2007. Be sure to bring a small bag or basket to hold your goodies. There will be hundreds of eggs stuffed with candy and prizes for kids at both the Friday and Saturday Easter egg hunts. Hunts are split up by age group. This egg hunt will also have live music, hot dogs, cotton candy, popcorn, bounce house and games. All children ages 12 and under are invited to participate in the St John “Easter Egg Hunt Eggstravaganza!” This event is free and open to the public. Meet on the front lawn with your basket and friends for festivities and fun. Open to the public and lunch will be provided. No, this isn’t an Easter egg hunt, but it’s just as fun. Pasquetta, the Baltimore Easter Egg Roll, is an Italian Cultural Center event held in collaboration with the Lake Evesham Neighborhood Association. A day of fun, games, food and music. Includes a traditional Easter Egg Roll, Sack races, Wheelbarrow races, three legged races. Follow the link above for schedule of events. Children who are pre-registered will get a free hot dog. Call 410-547-9934 for more information. The East Square will be decked out with about 1000 eggs. Very young children are encouraged to stay in the top of the square while older children might be more adventurous elsewhere. The Easter Bunny will be on hand to greet everyone. The Easter Egg Hunt sponsored by the Mount Vernon Place Conservancy. At the same time as the Egg Hunt, the Mount Vernon Place United Methodist Church and Asbury House and the Mount Vernon-Belvedere Association are co-sponsoring a community potluck in the East Square. Both event are free and open to the public.